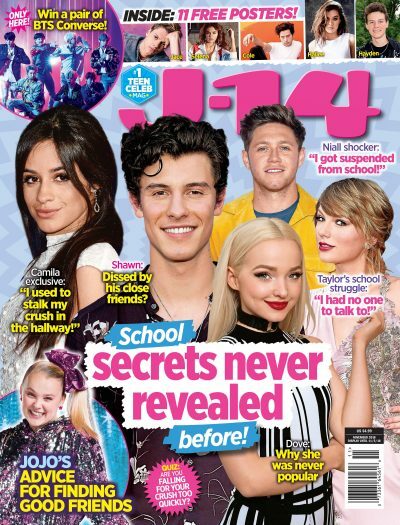 Singer Justin Roberts dropped his new single “Way Too Much,” on April 12 — and J-14 just caught up with the star to chat all about what it was like hanging with Jordyn Woods on set of his epic music video. So how did working alongside the megastar come about? Turns out, the model heard Justin’s bop before its release and just had to be a part of the video. The 16-year-old Team 10 member confirmed that despite the fact that Jordyn has been the center of a whole lot of drama, she seemed to be in good spirits. In case you missed it, Jordyn recently claimed in a tell-all interview that Tristan Thompson — the father of Khloé Kardashian‘s child — kissed her at a party in February. Watch the video above to see Justin spill all about working with Jordyn on set of his “Way Too Much” music video.